Unlike the hustle and bustle of the Emerald Coast, Ft Walton Beach, Destin and the Florida panhandle’s huge white sandy dunes where thousands of families roam the beaches, Sanibel and Captiva Islands embody the epitome of a nice quiet vacation surrounded by hundreds of flowering bougainvillea and miles of peaceful beaches. Sanibel & Captiva, with their 15 miles of unspoiled beaches, 22 miles of bike paths, 50 types of fish, 230 types of birds, 250 types of shells and ZERO stop lights, it’s no wonder so many find them as beautiful and serene as they are relaxing. That’s not to say the Emerald Coast isn’t absolutely gorgeous, it just draws more vacationers and offers a wider range of attractions. If that’s more your style then, read all about it here. During your Sanibel stay, you might spot a few of the “locals”, such as the roseate spoonbills, ospreys, bottlenose dolphins, turtles (Gopher Tortoise), manatees, great herons, sea otters, alligators, bobcats and pelicans. But most likely, you won’t run into any alligators or bobcats (though you might spot them in the wildlife refuges located on the islands. (Read more below on attractions and activities). More pictures of Sanibel can be seen at annechovies blog here. Ellen, a long time magazine editor with an amazing list of clients (including Redbook, Good Housekeeping, SELF, Glamour, Martha Stewart Living, Body & Soul, In Style and American Baby) along with a myriad of accolades, wrote a guest post for bestkidfriendlytravel about her family vacation spent at Captiva Island called “Kid Friendly Captiva Island” with tons of great information about the area’s fun family activities. See it here. 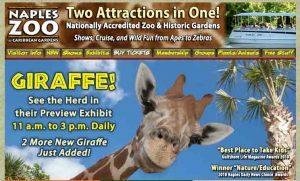 There are so many great family friendly activities around Ft. Myers, Captiva and Sanibel Islands that you’ll never be bored. Captiva Cruises is a great dolphin spotting short cruise fun for everyone and short enough that you don’t have to plan your whole day around it. J.N. Ding Darling National Wildlife Refuge for the nature lovers is a wonderful place to take the kids where you’ll see many of the “locals” mentioned above like the roseate spoonbills, gopher tortoises and such. 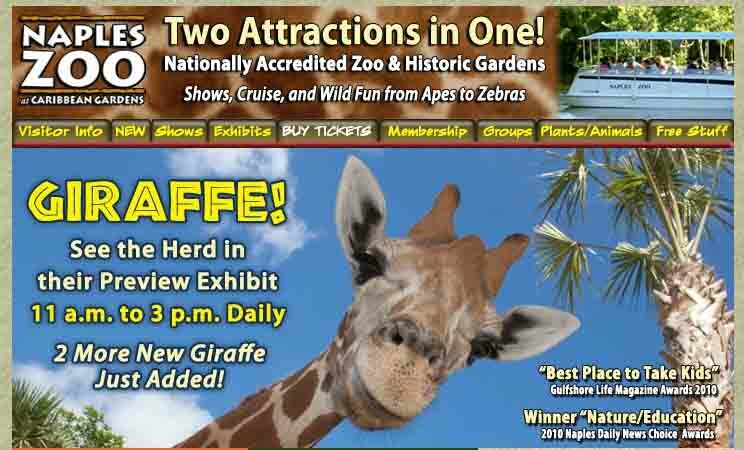 The Naples Zoo at Caribbean Gardens (small but perfect for young children) This is two great attractions in one, with a nationally accredited zoo, and historic gardens. 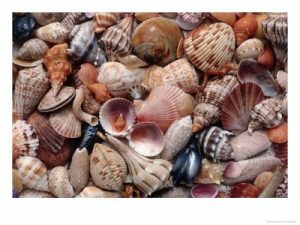 the Bailey-Matthews Shell Museum, a very popular Sanibel sight, and considered by many to be one of the best things to do on Sanibel Island. The Shell Museum is the largest museum in the world entirely dedicated to shells and contains over 30 exhibits. It’s only been operational since the mid-1990’s, and has allowed both kids and adults a fun way to better understand the environment around them. 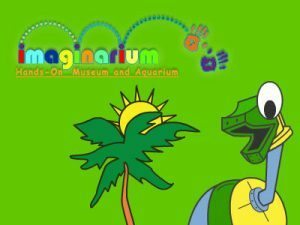 For families, the Imaginarium is certainly the must see destination in the area. This hands-on museum and aquarium brings science and nature to life, encouraging kids to learn through participation rather than by looking at one exhibit after another. Experience the thrills of petting a live stingray, play virtual soccer, experience a hurricane, or try your hand at weather forecasting, all without ever leaving the building. Read a nice write up about the Imaginarium here at Sanibel-Captiva.com. The Edison and Ford Winter Estates is another destination that travelers will not want to miss. You’ll see the winter home of Thomas Edison as well as the neighboring property that was owned by Henry Ford. There are museums onsite that showcase many of the inventions created by these two remarkable men as well as beautiful homes, gardens, a lab, and much more. Besides shelling, other outdoor activities around Captiva and Sanibel include; biking, fishing, bird watching, boating, golfing, and snorkeling, just to name a few. 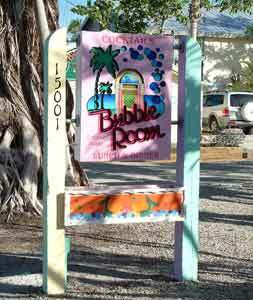 Also check with the Sanibel & Capitva Chamber of Commerce for more activities, or see their website here. The Lazy Flamingo -There are actually three of these restaurants and two are located on Sanibel (at opposite ends of the island), but the one you’ll probably like best is; Lazy Flamingo II, Inc. located at; 1036 Periwinkle Way, Sanibel, FL 33957, phone #239-472-6939. “The homemade ice-cream at Pinnochio’s in Sanibel is a must!”, says Ellen. The vibe here is very casual, so you can go to dinner almost anywhere in shorts.” Pinocchio’s Original Homemade Italian Ice Cream is a Sanibel tradition for nearly 30 years. Visitors come to this wonderful island to enjoy the pristine beaches, excellent shelling and natural wildlife. Families and residents often take the bicycle paths to the Sanibel Lighthouse on the East end of the island. Many say that their favorite stop along the way is at this little ice cream shop. South Seas Island Resort (formerly South Seas Plantation Resort), a 330-acre full-service resort on Captiva Island and has re-opened following a property-wide, multi-million dollar renovation. Resort amenities include the tennis courts, multiple pools, beach access, and the gulf-front Executive Golf Course. New Educational Camps for kids through teens offers activities and educational programs day and night. Read more here. Our huge pool and tennis court on five lush, tropical acres overlook the beach and the Gulf of Mexico. Enjoy activities like bicycling and shuffleboard, or relax in beach chairs, visit our shell hut, or enjoy our palm-shaded beachfront picnic area. – more. So if relaxing on the beach is more your style, versus the hustle and bustle of the panhandle, then Sanibel and Capitva Islands are for you. If you’ve stayed or visited on or near Sanibel & Captiva Islands or Fort Myers with kids for your Florida Family Beach Vacation, leave me a comment about it, I’d love to hear about your family friendly adventures! Make sure to stay tuned for more of the “Florida with Kids” series. If you missed the other editions, check out “Siesta Beach, Sarasota, Florida”, or ; “Treasure Island, St. Petersburg”, Ft. Walton Beach on the Emerald Coast, or ; “Clearwater Beach” for more family friendly vacation ideas. I have to planed about my next travel vacation.My wife want to be travel to Florida and we both decided to travel there.Good review of the beach holiday and resort is in the post.The post helps me during my travel to Florida. They are very kid oriented! Florida is a wonderful place to take a vacation- some of the best sunsets and beaches I have ever had the privilege to go to. I spent a good amount of time there this past September and I really fell in love. From the Everglades to the beaches, to the high buildings and all that culture, it was a dream! We spent most of our time though on the beach in the Palm Bay area- the Palm Bay Hotel (www.palmbay-hotel.com) was cheap and a great find for us!